To Cite: Pakdaman M, Akbari R, Dehghan H R, Valagohar R, Rostami P, et al. The Cost-effectiveness of Analogue Insulin Pens in Comparison with Human Insulin Pens for Controlling Type 1, Type 2, and Gestational Diabetes: A Systematic Review Article, Health Tech Asmnt Act. 2018 ; 2(1):e86421. doi: 10.5812/htaa.86421. Context: For many years, the classical (traditional) insulin injection methods have been used. The first insulin pen was made in the 1980s. These types of pens are divided into two categories, namely analogue and vial-human. Analogue insulin pens are similar to human insulin pens in molecular structure and can lead to differences in pharmacokinetic and pharmacodynamic properties. Methods: This was a systematic review conducted by searching Web of Science PubMed, SID, Embase, Scopus, and Magiran databases for articles published from the beginning of 2007 to June 2017. The related studies in the field of health technology and economic assessment were investigated. Results: Twenty studies were included; these studies indicated that there is no reason for the higher risk of rapid-acting insulin analogue pens in comparison with vial (human) and that analogue insulin pens significantly reduce the risk of hypoglycemia. Analogue insulin was compared to other existing insulins and was not found cost effectiveness (ICER: 642994$QALY), (ICER: 130865 $ QALY), (ICER: 87932$ QALY), but due to the increased quality of life and patient satisfaction compared to vial insulin pens, this type of pen has been used. Some studies have shown that aspart 30 insulin pens are more cost-effective than other analogues (ICER: 22488$QALY). Conclusions: Although the use of analogue insulin is more expensive for diabetic patients, it is more effective than vial insulin. Thus, insurance companies are recommended to develop special plans for the three vulnerable groups of seniors, children, and pregnant women to provide them with analogue insulin. Copyright © 2019, Health Technology Assessment in Action. This is an open-access article distributed under the terms of the Creative Commons Attribution-NonCommercial 4.0 International License (http://creativecommons.org/licenses/by-nc/4.0/) which permits copy and redistribute the material just in noncommercial usages, provided the original work is properly cited. Personal and public health is undoubtedly the most crucial aspect of life, and humans have been trying to maintain it since the prehistoric era (1). Diabetes is a complex metabolic disease that in addition to inheritance, environmental conditions, lifestyle, weight, tension, food pattern, and awareness of people play a decisive role in its development. Diabetes is a chronic disease caused by metabolic disorders and is the 50 cause of mortality in the Western world. Ten percent of the whole emergency care has been dedicated to this disease (2). Type 1 diabetes is a chronic inflammatory disease that leads to the destruction of beta cells. During the last few decades, the incidence rate of type 1 diabetes, an autoimmune disorder, has increased notably in children and in the developing countries. Type 2 diabetes is a type of metabolic disorder. In 1995, about 135 million people were suffering from this disease, and this number is expected to rise to 300 million by the year 2025. It seems that glycosylation and oxidative stress are effective in the process of developing diabetic complications and many other illnesses (3). Gestational diabetes can be defined as carbohydrate intolerance with various intensities that happens during pregnancy for the first time (4). Despite the developments in pregnancy outcomes in recent years, women with gestational diabetes are at higher risk for pregnancy complications (5). Complications of gestational diabetes include retinopathy, neuropathy, nephropathy, and cardiovascular complications that can lead to myocardial infarction and cerebrovascular accident. Along with these complications, diabetes promotes the risk of urinary tract infections (6). Diabetes reduces the quality of life in almost all aspects of life (7). Over the past few decades, the disease burden has increased the need for new ways to improve and manage this disease. Several factors, including genetics, lifestyle, environmental, and nutritional status, play an important role in diabetes (8). For many years, traditional ways have been used for insulin injection (9). Almost 60% of diabetic patients use insulin pens, although there are different statistics in different countries, for instance, in Japan, China, and Australia, 95% of people with diabetes use insulin pens. However, approximately 20% of diabetic patients in America use injectable insulin (10). In the 1930s, the first long-acting insulin, protamine zinc insulin, was developed to decrease the number of injections needed. In the early 1980s, pure pig insulin and then recombinant human insulin resulted in the elimination of insulin sensitivity and immune-mediated lipoatrophy. In recent decades, analogue insulin has been developed with the aim of overcoming some disadvantages of vial insulin. All types of analogue insulins are produced via recombinant technology. These types of insulin include glargine, aspart, detrime, and lispro (11). Given the fact that there are various ways to treat diabetes, this systematic review was conducted on the cost-effectiveness of analogue insulin pens versus vial pens in order to put it at the disposal of politicians who can decide on the relevant laws. This review was intended to compare the cost-effectiveness of analogue insulin and vial insulin for patients with diabetes. The most reliable and important databases including PubMed, Scopus, Embase, Web of Science, Magiran were searched for the related articles published from the beginning of June 2007 to June 2017. In addition to retrieving the electronic articles and scrutinizing their references, a manual search was conducted, and if necessary, we contacted the experts in the field. To search appropriately, the following keywords were used: “analogue insulin”, “vial insulin”, “diabetes type 1”, “diabetes type 2”, “gestational diabetes”, and “cost-effective” (MeSH, Free text). All the health technology assessment studies and economic assessment studies that compared analogue and vial insulin pens (i.e., NovoMix, detemir, degludec, glargine, biphasic, basal, reguar, NPH, Lantus, aspart, lispro, and detrime) were included in the study. Studies that focused only on the outcome or cost-effectiveness of the two types of insulin pens and studies that only worked on new insulin pens or just traditional insulin pens were excluded from the study. Moreover, due to limited resources and time, only English and Persian-language articles were used. PRISMA principles were followed, that is, at the beginning, titles and abstracts of all the retrieved articles were screened. Then, the full texts of the articles were studied. In all the stages of study selection, two researchers were used, and if there was a disagreement over an issue, it was resolved through discussion, and in cases where a consensus could be reached, a third researcher was included. A researcher-made data extraction form was completed separately to extract data from each included study. The extracted information included author(s)’ name, year of publication, therapeutic interventions, investigated outcomes, the ratio of cost-effectiveness, and costs. Quality assessment of the studies was performed based on consensus on health economics criteria checklist (CHEC), which contains 20 questions that scrutinize population descriptors, economic studies, validation of the methods and models, cost equity with the physical unit, the studies’ results, cost-effectiveness, follow-up, and ethics. The score of each study ranges from 1 to 12 according to the questions. Based on the criteria set, a score was assigned to each study, which signified the quality of the study (12). Regarding the heterogeneity in the results of the studies and the methods of economic evaluation, there was no possibility of meta-analysis. Therefore, the qualitative method was used to analyze the data. A systematic review was performed in the mentioned databases based on the inclusion and exclusion criteria, which yielded 1,726 studies. After excluding duplicates, 1516 articles were categorized based on their titles, and then 210 papers were excluded. At this stage, 155 studies were entered into the abstract-screening phase to determine the final studies, the full text of these articles was searched by the first researcher for the inclusion and exclusion criteria. In case of ambiguity, the second researcher intervened. Eventually, 20 papers were entered into the final phase of the study. The process of study selection was conducted based on the PRISMA protocol (Figure 1). Six studies out of the 20 included studies were performed within the past four years. Ten studies were on diabetes type 2, 6 on diabetes type 1, and 3 studies on diabetes types 1 and 2 and gestational diabetes. In all the studies, quality adjusted life years (QALY) outcomes, and in six studies (30%), side effects were reported. The features of the included studies are reported in Table 1. Abbreviations: ICER, incremental cost-effectiveness ratio; NPH, neutral protamine hagedorn insulin; QALY, quality adjusted life years; RAAI, rapid-acting analogue insulin; RAIA, rapid-acting insulin analogue; RHI, regular human insulin. CHEC was utilized to assess the quality of the included studies. Based on this checklist, four, eight, seven, and one of the studies obtained the scores of 9, 10, 11, and 12, respectively (Table 2). Abbreviations: N, no; Q, question; Y, yes. Cameron and Bennett (13) claimed the cost-effectiveness of analogue insulin (i.e., aspart, lispro, detemir insulin) compared to vial insulin pens (i.e., regular and NPH). In this regard, other studies performed over the past four years in different countries indicated that determir insulin pen compared to NPH insulin pen was more effective and increased the quality of life (in type 1 diabetes with incremental cost-effectiveness ratio (ICER) = 7682$ QALY and in type 2 diabetes with ICER = 15,009$ QALY) (13-15, 26, 28-31). The results of various studies on the comparison of insulin pens in type 1 diabetes (insulin-dependent), type 2 (non-insulin-dependent diabetes), and gestational diabetes have shown that glargine insulin pen compared to NPH insulin with ICER = 57,002$ QALY had a more dramatic effect on patients’ quality of life and reducing costs (17-19, 21, 22, 24, 27). Other studies concluded that a biphasic pen compared to an NPH pen with ICER = 17859$ QALY improved the quality of life and disease burden (20, 23). In the study of Belanger and Cameron in Canada, it was indicated that the aspart pen was more effective than the regular insulin pen (25). In addition, the comparison of the aspart pen with regular human insulin with ICER = 22,488$ QALY also confirmed the greater cost-effectiveness and quality of aspart (32). Another study carried out in 2015 also confirmed the cost-effectiveness of rapid-acting analogue insulin (-RAAI) relative to regular insulin pens (16). Overall, studies have shown that the cost of vial insulin pens is higher than analogue insulin pens, but the efficacy of analogue insulin pens is higher than vial insulin pens. However, the ratio of the estimated cost-effectiveness suggests that the analogue insulin pen is more cost-effective than the vial insulin pen. The current research contributes to the evaluation of health technology aimed at investigating the efficiency of the use of analogue injection insulin pens and vial insulin pens in patients with type 1, 2 and gestational diabetes. To compare the above-mentioned studies, a systematic review was carried out using the cost-effectiveness criterion as the measurement benchmark. Due to the variety of analogue insulin pens and the competitiveness among these pens, numerous studies have been performed in this regard. Cazarim et al.’s (33) study entitled as “cost-effectiveness in the Brazilian health system” compared different types of analogue insulin pens and NPH insulin pens. The results indicated that regular insulin pens can be a better alternative to NPH insulin pens. Overall, based on the cost and sensitivity analyses, the aspart and detemir pens can be the best choices. Also, based on QALY indicator, aspart insulin pen is the most cost-effective analogue insulin pen to control HbA1c (33). The limitations caused by diabetes have attracted much of researchers’ attention. In this regard, Morales et al. (14) conducted a study to compare the cost-effectiveness of NPH pen with that of detemir insulin pen and concluded that the quality of life of type 1 diabetes patients using NPH pen is less than the quality of life of those using a detemir pen, which is also the case for type 2 and gestational diabetes patients. With regards to the cost-effectiveness of detemir pens in type 1 diabetes, the increasing cost-effectiveness ratio of this intervention was more than NPH insulin pen (ICER = 7682$ QALY in comparison with ICER = 1910$ QALY), and for type 2 diabetes, detemir insulin pen had a higher cost-effectiveness ratio than NPH insulin (ICER = 2522$ QALY compared to CERI = 15,009$ QALY). In the same vein, it can be stated that detemir insulin is more cost-effective (14). However, in a systematic review, Rys et al. (34) by reviewing clinical trials on the effectiveness insulin pen demonstrated that using glargine insulin pen versus NPH insulin pen decreases HbA1c with no significant reduction in blood glucose. The extent of the side effects of analogue insulin pen and vial insulin pen was also taken into consideration in a study by Farshchi et al. in 2014 in order to study the cost-effectiveness of the biphasic insulin pen and NPH pen in type 2 diabetic patients. This study revealed that among the biphasic, NPH, and regular human insulin pens, none affects HbA1c. However, biphasic insulin, based on the quality of life expectancy index and the ICER (ICER = 930.55 ± 81.43$ QALY for NPH insulin, and ICER = 1101.24 ± 165.49$ QALY for regular human insulin) had a more significant effect on type 2 diabetes compared to NPH insulin pens. Besides, biphasic insulin pens were more cost-effective (20). With the increasing importance of analogue insulin pens and the expanding need for this type of treatment, the cost-effectiveness and efficacy of these interventions have been studied. In this regard, a series of studies, including a systematic review by Hagenmeyer et al. (17), was carried out for economic evaluation of glargine insulin pens versus NPH insulin pens. The results indicated that glargine is 4 to 6 times more cost-effective than NPH insulin pen. Moreover, its cost-effectiveness had increased from ICER = 3.859$ QALY to ICER = 57.002$ QALY. He concluded glargine insulin pen as a brand-new analogue insulin can be more efficient and cost-effective. The results of Monami et al. (35) study on the long-term effects of detemir pen in comparison with NPH pen indicated that determir pen causes less weight gain and that this kind of insulin pen poses less risk of reducing blood glucose levels. In a systematic review by Horvath et al. (36), the long-term performance of analogue insulin pen compared to NPH insulin was examined. He concluded that analogue insulin pen was not superior to vial insulin pen in this regard. However, in a clinical trial on 2,293 patients, it was recognized that analogue insulin causes less increased heartbeat. The current study’s results confirmed the findings obtained by other studies in that analogue insulin pens outperform vial insulin pens with regards to quality of life and cost-effectiveness ratio in type 1, type 2, and gestational diabetes. The present study has some limitations. One of the limitations of this study is that the results were limited to English and Persian-language studies. Another limitation of the study is that the obtained results are not based on actual intervention(s) and collection of new empirical data. Moreover, the results of this study are based on modelling and assumed costs and effectiveness, as a result, researcher bias may have influenced these findings. All the results of the study were based on modelling, where the inputs were drawn from published datasets, existing literature, or experts’ advice. Therefore, the study is based profoundly on modelling and there is a need for evaluating the effectiveness of new interventions in the field by using more robust study designs and parallel economic evaluations. According to the conducted systematic review study, the results indicated that among the variety of insulin analogues (rapid-acting and long-acting) used in the treatment of type 2 diabetes, aspart 30 can be more cost-effective compared to Glargine insulin pen and human biphasic insulin pen. For type 1 diabetes, aspart 30 insulin pen is more effective and less costly than NPH insulin. In women with gestational diabetes, aspart insulin pen is more cost-effective than NPH insulin pen. Therefore, considering the sensitivity of care for the elderly, children and pregnant women, this technology should be provided for these three groups by governmental resources. This article was derived from Master's thesis in Health Technology Assessment. We would like to thank the head of Yazd University of Medical Sciences, Iran. Conflict of Interests: We didn't have any conflict of interests for this article. Funding/Support: We did not receive any funding for performing this study. 1. Sadock BJ, Sadock VA. Kaplan and Sadock's synopsis of psychiatry: Behavioral sciences/clinical psychiatry. 10th ed. Lippincott Williams & Wilkins; 2011. 2. Javadi A, Javadi M, Sarvaghi F. [Evaluation of knowledge, attitude and practice of diabetic patients referring to Qazvin diabetes mellitus center for diabetes mellitus]. J Birjand Univ Med Sci. 2004;11(3):46-51. Persian. 3. Zandkarimi E, Afshari Safavi A, Rezaei M, Rajabi G. [Comparison logistic regression and discriminant analysis in identifying the determinants of type 2 diabetes among prediabetes of Kermanshah rural areas]. J Kermanshah Univ Med Sci. 2013;17(5):300-8. Persian. 4. Navaie L, Kimiagar M, KHerkhahi M, Azizi F. [Epidemiology of diabetes in pregnant women in Tehran province villages]. J Res Med Sci. 2002;26(3):217-23. Persian. 5. Rahimi M, Dinari Z, Najafi F. [Prevalence of gestational diabetes and its risk factors in Kermanshah 2009]. Behbood. 2010;14(3):244-50. Persian. 6. Sayedalshohadai M, Allami M, Khamseh ME, Hosseini F, Kojaiibidgoli A. [Prevalence and risk factors of urinary tract infections in type 2 diabetic women]. J Kermanshah Univ Med Sci. 2009;13(3):203-10. Persian. 7. Timareh M, Rhimi M, Abbasi P, Rezaei M, Hyaidarpoor S. [Quality of life in diabetic patients referred to the Diabete Research Center in Kermanshah]. J Kermanshah Univ Med Sci. 2012;16(1):63-9. Persian. 8. Rahimi MA, Izadi N, Niromand E, Rezvanmadani F, Najafi F, Asarezadegan M, et al. [Comparison of serum level of 25-hydroxy vitamin d in diabetic patients and healthy subject]. J Mashhad Univ Med Sci. 2016;59(2):97-105. Persian. 9. Bossi AC, Veronesi G, Poerio CS, Braus A, Madaschi S, Destro M, et al. A prospective study for introducing insulin pens and safety needles in a hospital setting. The sanithy study. Curr Diabetes Rev. 2016;12(4):460-7. [PubMed: 26245310]. [PubMed Central: PMC5112762]. 10. Anderson BJ, Redondo MJ. What can we learn from patient-reported outcomes of insulin pen devices? J Diabetes Sci Technol. 2011;5(6):1563-71. doi: 10.1177/193229681100500633. [PubMed: 22226279]. [PubMed Central: PMC3262728]. 11. Oliyaeemanesh A, Doaee SH, Mobinizadeh MR, Nejati M, Aboee P, Azadbakht M. [Health technology assessment on insulin analogues: The rapid review of second type studies]. Iran J Epidemiol. 2012;8(1):1-6. Persian. 12. Wijnen B, Van Mastrigt G, Redekop WK, Majoie H, De Kinderen R, Evers S. How to prepare a systematic review of economic evaluations for informing evidence-based healthcare decisions: Data extraction, risk of bias, and transferability (part 3/3). Expert Rev Pharmacoecon Outcomes Res. 2016;16(6):723-32. doi: 10.1080/14737167.2016.1246961. [PubMed: 27762640]. 13. Cameron CG, Bennett HA. Cost-effectiveness of insulin analogues for diabetes mellitus. CMAJ. 2009;180(4):400-7. doi: 10.1503/cmaj.081180. [PubMed: 19221353]. [PubMed Central: PMC2638053]. 14. Morales C, de Luis D, de Arellano AR, Ferrario MG, Lizan L. Cost-effectiveness analysis of insulin detemir compared to neutral protamine hagedorn (NPH) in patients with type 1 and type 2 diabetes mellitus in Spain. Diabetes Ther. 2015;6(4):593-610. doi: 10.1007/s13300-015-0143-x. [PubMed: 26589521]. [PubMed Central: PMC4674462]. 15. Ramirez de AA, Morales C, De LD, Ferrario MG, Lizan L. Short-term cost-effectiveness analysis of insulin detemir versus insulin neutral protamine hagedorn (NPH) in patients with type 2 diabetes mellitus in Spain. Value Health. 2014;17(7). A343. doi: 10.1016/j.jval.2014.08.686. [PubMed: 27200637]. 16. Saunders R, Boye KS, van Brunt K, Pollock RF, Valentine WJ. Cost-effectiveness of rapid-acting analog insulin for type 1 diabetes in the Uk setting. Value Health. 2015;18(7). A610. doi: 10.1016/j.jval.2015.09.2114. [PubMed: 26533424]. 17. Hagenmeyer EG, Koltermann KC, Dippel FW, Schadlich PK. Health economic evaluations comparing insulin glargine with NPH insulin in patients with type 1 diabetes: A systematic review. Cost Eff Resour Alloc. 2011;9(1):15. doi: 10.1186/1478-7547-9-15. [PubMed: 21978524]. [PubMed Central: PMC3200149]. 18. McEwan P, Poole CD, Tetlow T, Holmes P, Currie CJ. Evaluation of the cost-effectiveness of insulin glargine versus NPH insulin for the treatment of type 2 diabetes in the UK. Curr Med Res Opin. 2007;23(sup1):S21-31. doi: 10.1185/030079907x167570. 19. Greiner RA, Azoulay M, Brandle M. Cost-effectiveness of insulin glargine versus NPH insulin for the treatment of type 1 and type 2 diabetes modeling the interaction between hypoglycemia and glycemic control in Switzerland. Diabetes. 2009;58. 20. Farshchi A, Aghili R, Oskuee M, Rashed M, Noshad S, Kebriaeezadeh A, et al. Biphasic insulin aspart 30 vs. NPH plus regular human insulin in type 2 diabetes patients: A cost-effectiveness study. Diabetes Technol Ther. 2016;16(1):35. 21. Brandle M, Azoulay M, Greiner RA. Cost-effectiveness and cost-utility of insulin glargine compared with NPH insulin based on a 10-year simulation of long-term complications with the diabetes mellitus model in patients with type 2 diabetes in Switzerland. Int J Clin Pharmacol Ther. 2007;45(4):203-20. [PubMed: 17474539]. 22. Pfohl M, Schadlich PK, Dippel FW, Koltermann KC. Health economic evaluation of insulin glargine vs NPH insulin in intensified conventional therapy for type 1 diabetes in Germany. J Med Econ. 2012;15 Suppl 2:14-27. doi: 10.3111/13696998.2012.713879. [PubMed: 22812690]. 23. Aagren M, Thomsen TL, Knudsen VK. Db1 projected cost-effectiveness of biphasic insulin aspart 30 in type 2 diabetes patients switched from biphasic human insulin in the United States. Value Health. 2009;12(3). A10. doi: 10.1016/s1098-3015(10)73111-9. 24. Alvares J, Almeida AM, Faleiros D, Araujo VE, Guerra Junior AA, Acurcio F. Diabetes mellitus treatment: Cost-effectiveness of schemes therapeutic glargine and nph - Brazil, 2014. Value Health. 2015;18(3):A60-1. doi: 10.1016/j.jval.2015.03.354. 25. Belanger D, Cameron CG. Pdb21 economic evaluation of rapid-acting insulin analogues for the treatment of patients with type 1 and type 2 diabetes mellitus in Canada. Value Health. 2009;12(3). A100. doi: 10.1016/s1098-3015(10)73565-8. 26. Ramirez de AA, Lizan L, Prades M, Morales C, De LD. Cost-effectiveness analysis of insulin detemir versus insulin neutral protamine hagedorn (NPH) in patients with type 1 diabetes mellitus In Spain. Value Health. 2014;17(7). A343. doi: 10.1016/j.jval.2014.08.687. [PubMed: 27200636]. 27. Brandle M, Azoulay M, Greiner RA. Cost-effectiveness of insulin glargine versus NPH insulin for the treatment of Type 2 diabetes mellitus, modeling the interaction between hypoglycemia and glycemic control in Switzerland. Int J Clin Pharmacol Ther. 2011;49(3):217-30. [PubMed: 21329624]. 28. Ridderstrale M, Jensen MM, Gjesing RP, Niskanen L. Cost-effectiveness of insulin detemir compared with NPH insulin in people with type 2 diabetes in Denmark, Finland, Norway, and Sweden. J Med Econ. 2013;16(4):468-78. doi: 10.3111/13696998.2013.768999. [PubMed: 23384160]. 29. Smith-Palmer J, Fajardo-Montanana C, Pollock RF, Ericsson A, Valentine WJ. Long-term cost-effectiveness of insulin detemir versus NPH insulin in type 2 diabetes in Sweden. J Med Econ. 2012;15(5):977-86. doi: 10.3111/13696998.2012.692340. [PubMed: 22563742]. 30. Valentine WJ, Aagren M, Haglund M, Ericsson A, Gschwend MH. Evaluation of the long-term cost-effectiveness of insulin detemir compared with neutral protamine hagedorn insulin in patients with type 1 diabetes using a basal-bolus regimen in Sweden. Scand J Public Health. 2011;39(1):79-87. doi: 10.1177/1403494810379290. [PubMed: 20688795]. 31. Valentine WJ, Jendle J, Saraheimo M, Thorsteinsson B, Pollock RF, Lammert M. Evaluating the cost-effectiveness of reduced mild hypoglycaemia in subjects with Type 1 diabetes treated with insulin detemir or NPH insulin in Denmark, Sweden, Finland and the Netherlands. Diabet Med. 2012;29(3):303-12. doi: 10.1111/j.1464-5491.2011.03461.x. [PubMed: 21951030]. 32. Lloyd A, Townsend C, Munro V, Twena N, Nielsen S, Holman A. Cost-effectiveness of insulin aspart compared to human insulin in pregnant women with type 1 diabetes in the UK. Curr Med Res Opin. 2009;25(3):599-605. doi: 10.1185/03007990802668208. [PubMed: 19232034]. 33. Cazarim MS, Rodrigues JPV, Cruz-Cazarim ELC, Ayres LR , Pereira LRL. Cost-effectiveness of insulin analogues from the perspective of the Brazilian public health system. Braz J Pharm Sci. 2017;53(3). doi: 10.1590/s2175-97902017000300178. 34. Rys P, Wojciechowski P, Rogoz-Sitek A, Niesyczynski G, Lis J, Syta A, et al. 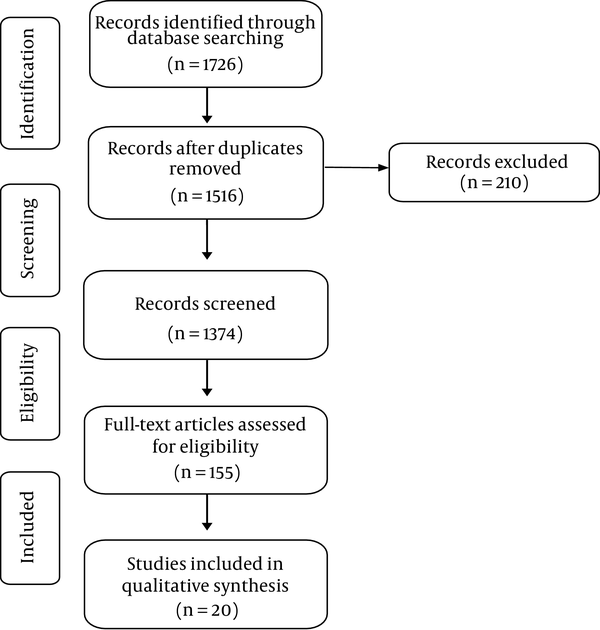 Systematic review and meta-analysis of randomized clinical trials comparing efficacy and safety outcomes of insulin glargine with NPH insulin, premixed insulin preparations or with insulin detemir in type 2 diabetes mellitus. Acta Diabetol. 2015;52(4):649-62. doi: 10.1007/s00592-014-0698-4. [PubMed: 25585592]. [PubMed Central: PMC4506471]. 35. Monami M, Marchionni N, Mannucci E. Long-acting insulin analogues vs. NPH human insulin in type 1 diabetes. A meta-analysis. Diabetes Obes Metab. 2009;11(4):372-8. doi: 10.1111/j.1463-1326.2008.00976.x. [PubMed: 19267715]. 36. Horvath K, Jeitler K, Berghold A, Ebrahim SH, Gratzer TW, Plank J, et al. Long-acting insulin analogues versus NPH insulin (human isophane insulin) for type 2 diabetes mellitus. Cochrane Database Syst Rev. 2007;(2). CD005613.